Health and wellness is about more than doctor’s appointments. At the Metabolic Clinic & Research Center, Dr. Khan and staff can work with patients in Boyle Heights and the greater Los Angeles area to develop healthy living habits and awareness. People throughout the community can participate in educational open houses and illness prevention courses. What is Important about Health Awareness? There are many things that can harm a person’s health and many of the leading causes of health issues in the United States can be prevented and treated successfully if found early enough. The risk of developing heart disease, diabetes, and other medical conditions can be directly affected by the choices a person makes each day. 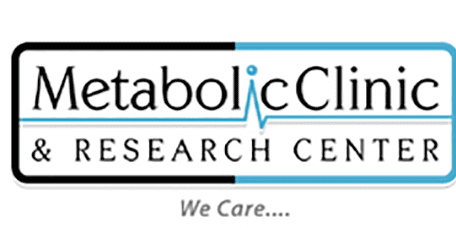 At the Metabolic Clinic & Research Center, we offer free health consultations, open houses, and in-house education designed to inform our patients and community about the best health practices and how to maintain optimal overall health. There are also courses and information available about diabetic and cardiovascular health awareness in addition to mental health information and wellness advice. The clinic can introduce patients to the healthy lifestyle habits which can dramatically affect a person’s good health and wellness throughout the future. Wellness is the state of optimal well-being which is works toward maximizing a person’s potential. Maintaining personal wellness is a life-long process and takes each aspect of a person’s mental and physical health into account including physical, emotional, social, intellectual, spiritual, and environmental well-being. When one of these areas is lacking it can affect the others. By working on wellness each day and learning about the qualities of each aspect people can lead healthy, happy lives. The clinic can work with patients to help establish wellness habits which can be incorporated into their daily lives. Even small changes can impact a person’s health and happiness greatly such as employing stress management techniques and taking a few moments to be more active each day.